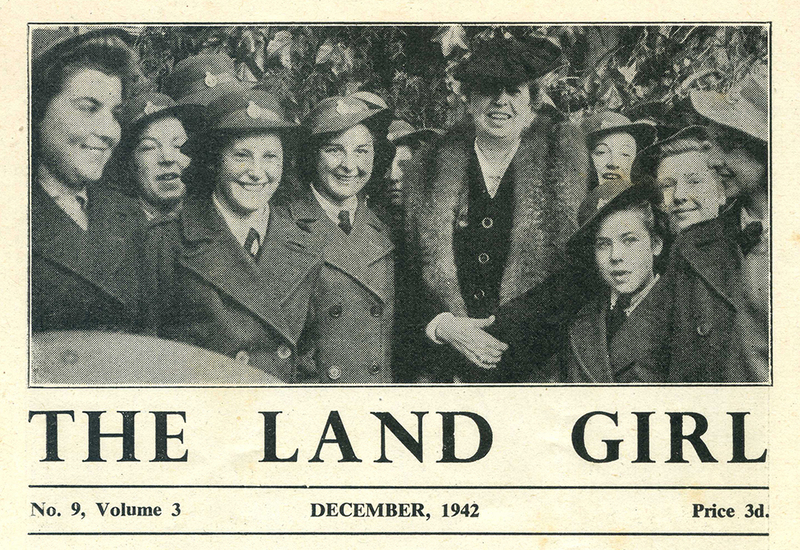 To end the year, we start not with a drawing on the front page of The Land Girl, but quite unusually – a photograph! Mrs Roosevelt’s visit to this country was important not only immediately but because of its wider significance. […] The difficult lesson we have got to learn is that of our mutual dependence on one another – if we can’t sink our national pride and learn to get together we shall surely vanish from the face of the earth, fighting one another to the last gasp. 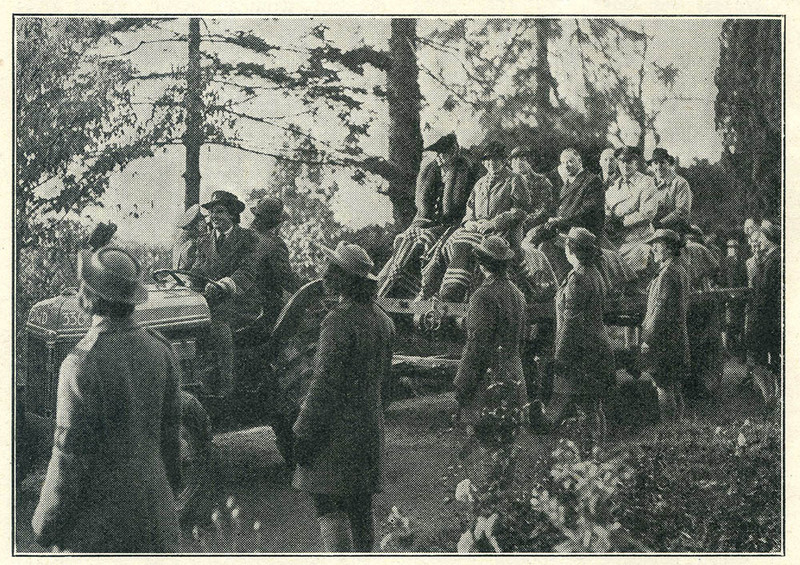 The Land Girl reported on the visit as ‘another link of friendship’ between Britain and America. Lady Roosevelt took a trip to see women threshing, thatching, silage making, and milking in Warwickshire. She was driven majestically through from Marston Hostel through to Oldberrow House Hostel in Henley-in-Arden. After a rather difficult journey for the tractor driver, Land Girl Margaret Browett, Lady Roosevelt then watched Land Girls ploughing with an American caterpillar tractor – the ‘special relationship’ in action. The Women’s Land Army then treated Lady Roosevelt to coffee and cakes, where she signed many an autograph book. She also received an album of photographs, ‘bound in deerskin, with the L.A. badge on the cover’. The Exhibition which the Land Army arranged for me of its work at Oldberrow, was one of the most interesting features of my visit to Great Britain and I should be grateful if you would thank all those concerned and convey my congratulations and good wishes to all the members of the Land Army. 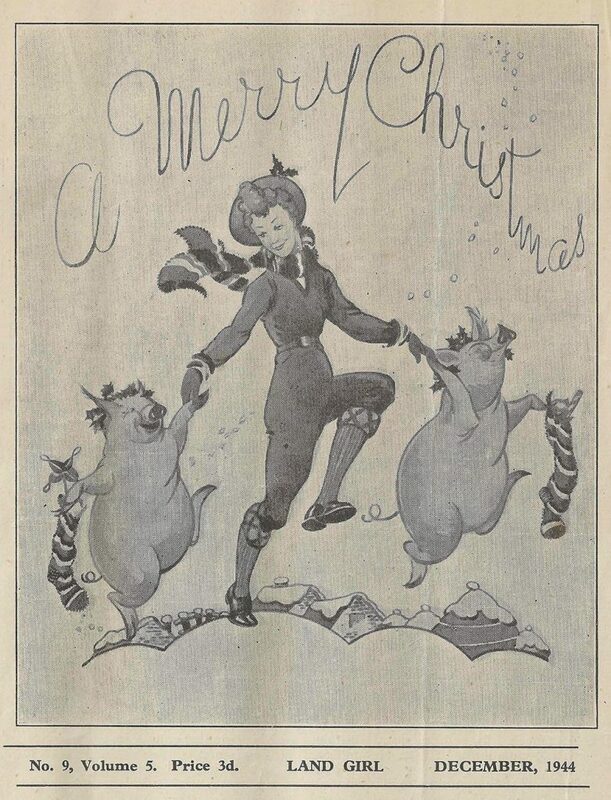 And did The Land Girl ever publish a Christmas design? 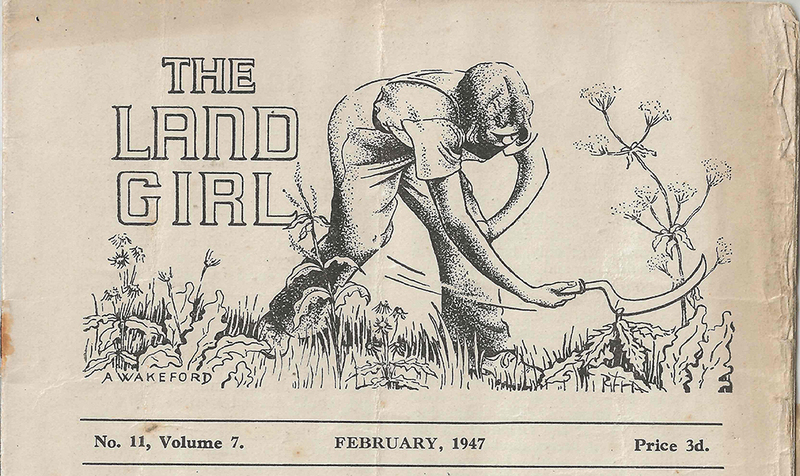 The front page drawing from the December 1944 edition of The Land Girl. 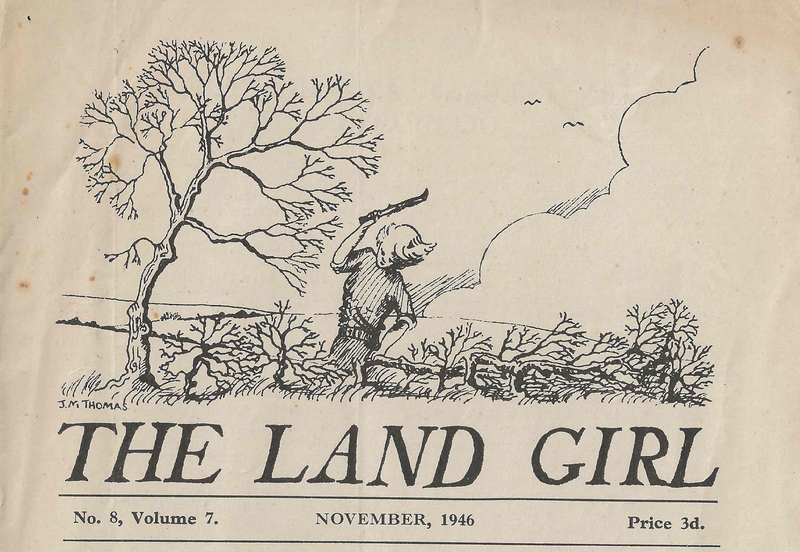 2 years later, The Land Girl published a jolly image drawn by Isobel Mount in Scotland. 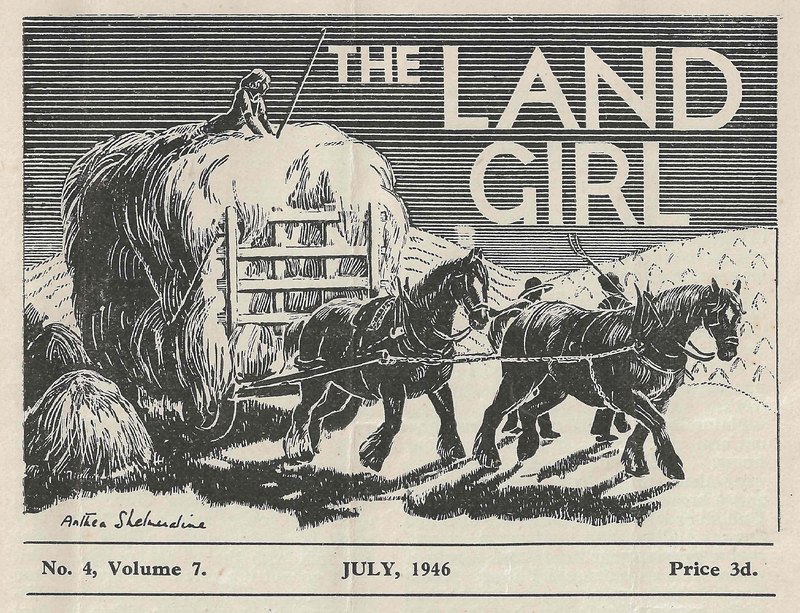 Those with a good memory might recall that Mount was also the artist behind the final design of The Land Girl, published in March 1947. She was also the author of the regular series Miss Baxter and I. This is the last of the my posts which look at the front page of The Land Girl. To take a look back at the year of posts, click here. Keep tuned for a new way to mark every month in 2019.